Enough of the glums, they are banished! And creative constipation can go hang because I’m determined to get this post out today – there’s a lot of catching up to do. Spike Milligan (one of my all time favourite people) famously said ‘We haven’t got a plan so nothing can go wrong!’ and I have to say that I kind of agree with him. For that reason I’m loath to use the ‘p’ word in this post in case I put a jinx on things.Instead I shall talk about ideas – solid, concrete type ones. Irishman and I have had quite a few ‘ideas’ over the past few months about what we are going to do when our sojourn working in Jakarta finally comes to an end. At this moment in time it could be as soon as October, we just don’t know. Spending the past two years in Indonesia has altered our perception and thinking. The big questions about where we want to be and want we want to do have become even bigger. It’s encouraged us to think more out of the box than maybe we did before; we’ve come to think of ourselves as global citizens rather than just a couple of ancient relics from the UK. Having cut our umbilical chord with the British Isles we could drop a pin almost anywhere in the world and it would feel like home. All in all it’s been an extraordinary life-changing adventure and until a month or so ago we had thought of staying in Indonesia permanently albeit not in Jakarta, or even Bali. Our idea was to go and live on a remote island and build a home of sorts out of recycled wood parts and bamboo. I’ve watched so many You tube films on how to build a compost toilet and outside shower that I’m pretty sure that I could now make them in my sleep. A whacky, Robinson Crusoe type lifestyle, eco friendly, and as self-sustaining as possible. Swimming in crystal clear waters with manta rays, a parrot swearing obscenities at us from a mango tree, a monkey on my shoulder while I paint – you get the picture. And this idyllic hippy like fantasy is wonderful except for the small matter of how long it would take our children and friends to come to visit us. It’s bad enough the almost 24 hour door to door journey time that it takes already but to add another day to their travels would be a step too far. We needed to come up with a solution where we could quench our thirst for adventure and new experiences, but be nearer to those that we love. Portugal seemed like the answer. One of the many reasons that I haven’t posted in a while is that 3 weeks ago we had our annual leave back to London. Prior to us leaving I had done a certain amount of research on Portugal, finding out about buying property, and looking for good areas to live (read that as where we can afford) Irishman and I changed our flights back to Jakarta via Lisbon so that we could spend a few days after our visit to London in Portugal and start to do a reconnaissance. Estate agents where skyped, property viewings arranged and we were all set. Except that 2 days before we were due to leave London I met up with a very dear friend. ‘Why the hell do you want to live on the side of a mountain, 3hours drive from Lisbon Lottie?’ ‘Why don’t you head south to the Algarve to Tavira?’ Two bottles of wine later one of my oldest and best friends had managed to convince me to change tack and head to coastal south Portugal instead. Never mind that when I looked on the internet later that evening, every property available even ruins, were double the price of the mountain shacks that I had been looking at. It wasn’t difficult to convince Irishman that we needed to head due south rather than northeast once we landed in Lisbon. He loves the sun, he loves the sea and as soon as I mentioned that there was a thriving art community in Tavira he was sold. 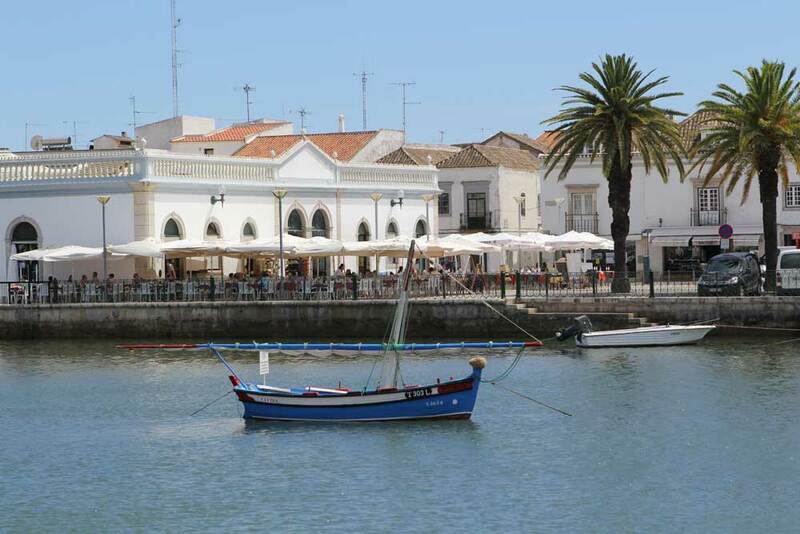 Tavira, just 18 miles from the Spanish border is in my mind the prettiest of all the coastal towns in the Algarve. Rebuilt in the 13th Century after it was recaptured from the Moors, much of the legacy of that time remains along with hints of the Renaissance and Baroque. 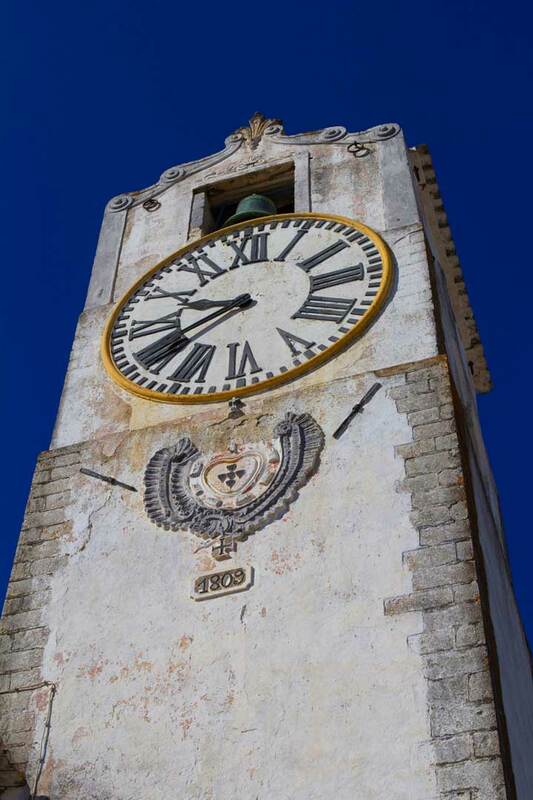 Hipped roofs, splendid domes and towers give a special character to this picturesque and unspoilt town. 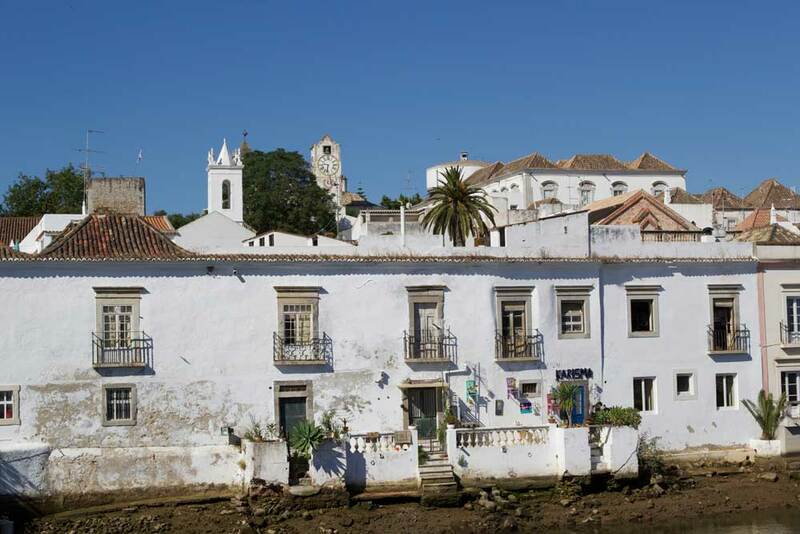 Brilliant white washed houses and narrow cobbled streets stretch either side of the Gilão river which then wends its way down to the Ria Formosa lagoon and the sea beyond the islands. As we made our way through the cobbled streets and open squares, taking in the delicious sights and sounds around us, we noticed the house martins chattering above us in the eaves of the old houses whilst tending to their nests. Irishman and I both looked at each other with exactly the same thought. 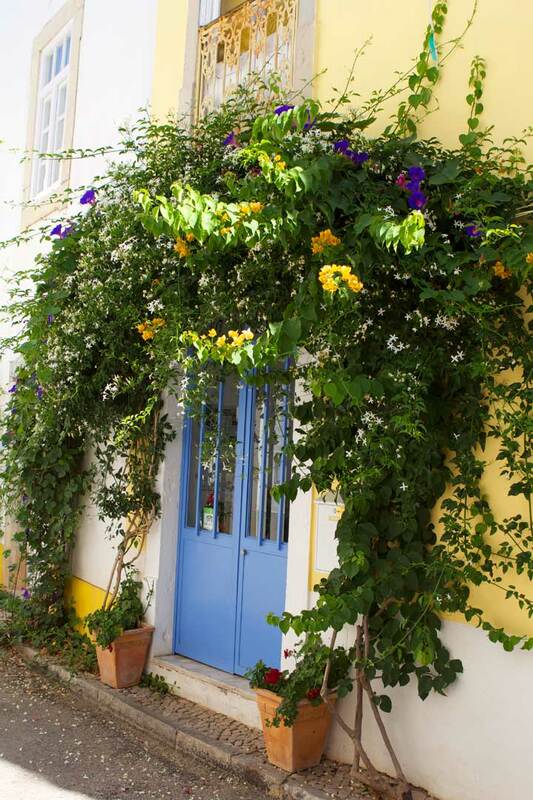 Tavira might be a very lovely place to make our own nest one day. To be continued….Click on landscape photographs to enlarge. 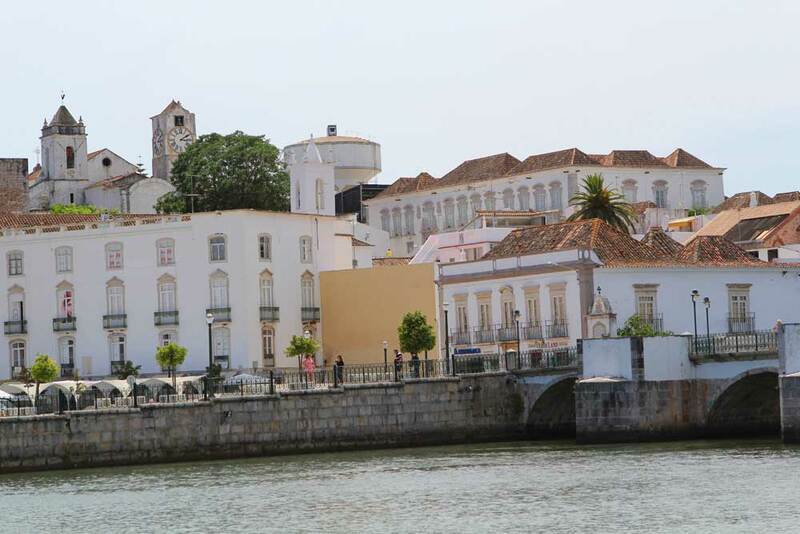 Tavira looks gorgeous even though the spellchecker thinks you will be living in a tapir. Isn’t it wonderful to have something like that to look forward to? The pics almost have me sold but neither Mrs Ha nor I speak the lingo. The knockers are brilliant. And the colour fantastic. You can probably buy most of Portugal for 20 quid now. Do they have mantas, mangoes and monkeys in Tapir? They don’t have monkeys, mangoes or mantas in Tapir but they do have the most wonderful birds – check this out! Do you know restlessjo? 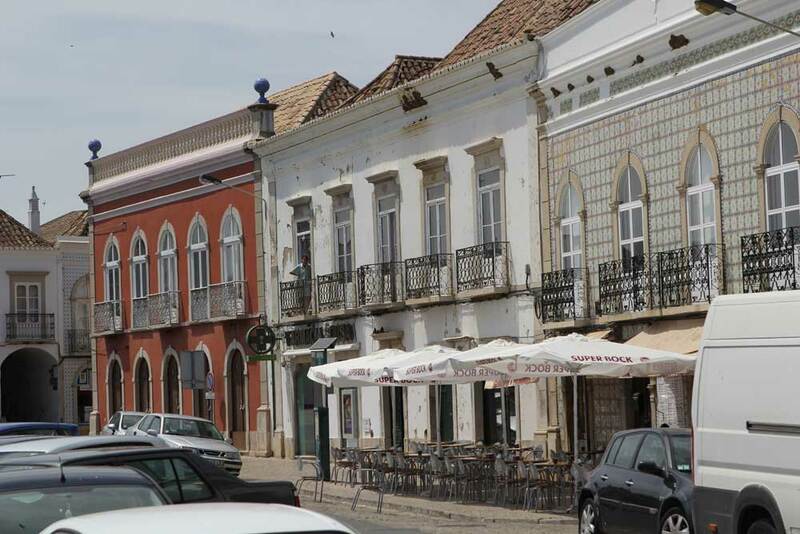 She’s got a place in Tavira? If she’s not on your blog list I’ll send you her link. I seem to be unique, but Tavira doesn’t grab me. 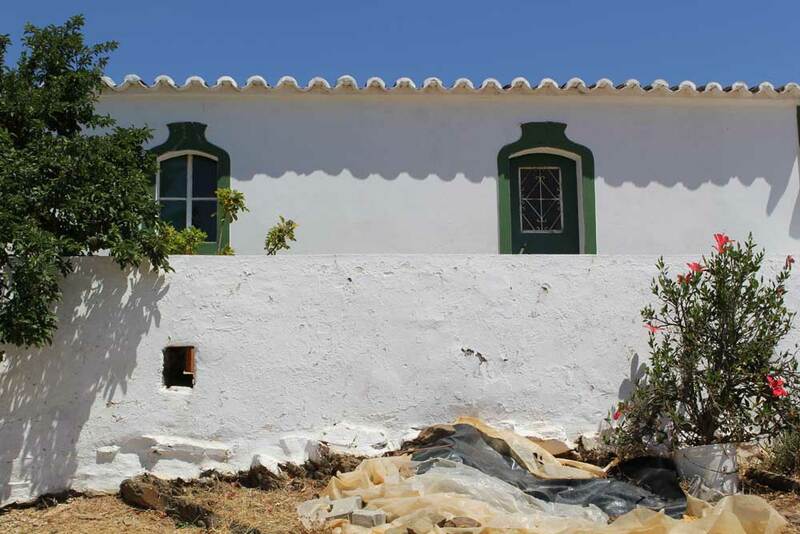 We looked at buying in Portugal too. Bloody expensive it was. We’ve always stayed ie camped in Olhao, but we did look around Moncarapacho or whatever it’s called thinking of buying there. But speaking of Lisbon, the place I would really choose would be Sintra. Just class. I love it. Anyway since we looked prices have plummeted so you may yet get a bargain. Suerte! (Can’t remember the portuguese for that). Sintra is indeed pure class, one of the most stunning places that I’ve ever been to. 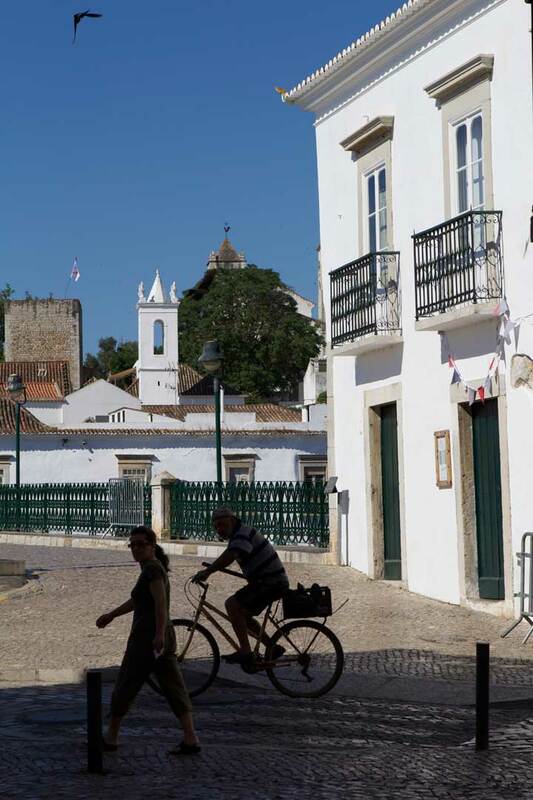 We don’t want to live in Tavira itself but within a 40 minute radius. I need to get back to getting my hands dirty and growing veg etc. so somewhere out in the sticks would be perfect. Since living in Spain, I have learned you can do a lot with a small amount of outside space, even though I originally wanted acres and acres. Is Spain (or even France) cheaper than Portugal these days? I suspect you could get some bargains in Spain. The market is crap which is why we aren’t selling. 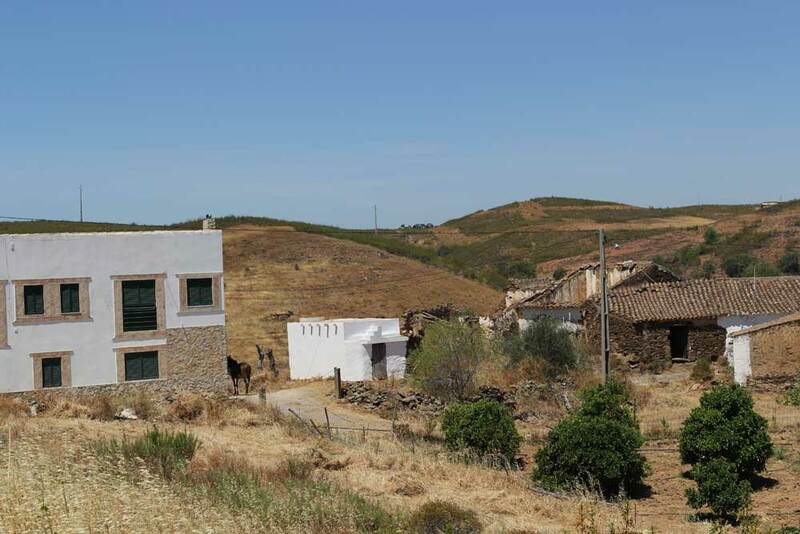 A Spanish friend told us about a place in Cadiz province for 180K euros with ground and three houses. Depends what you want I guess. In terms of buying Portugal is going to be the same as Spain I guess, so you’ll need an escritura, a legally built/recognised property etc. If you have any ?s or want more info, email me as otherwise I could write forever on this topic. Also, about what you think you want to buy, and what is good to buy. Different. Thanks for your last comment, it’s very helpful and appreciated. Through great fortune we’ve found someone who is going to help us. We’ve made a wish list of things we’d love but realise that you can’t tick all the boxes. Location is more important to us than anything else. 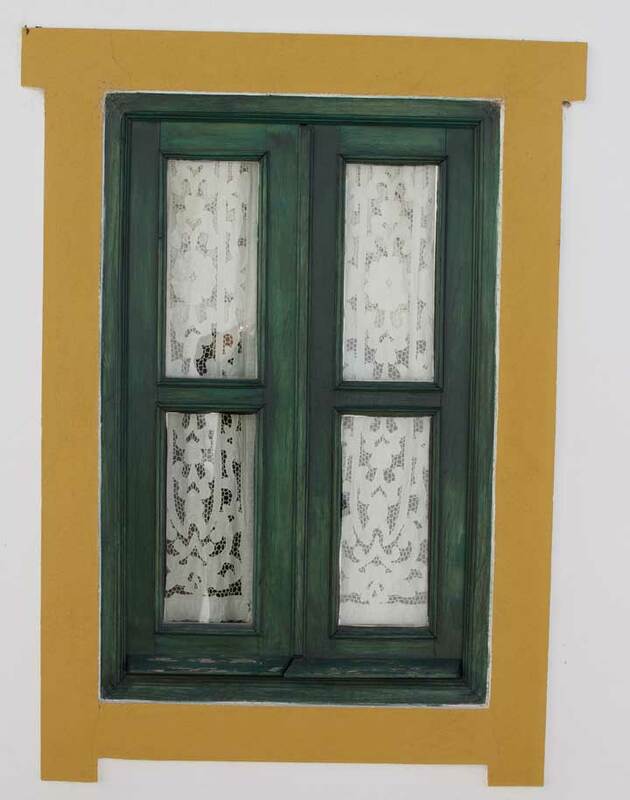 Sadly our budget doesn’t stretch anywhere close to 180€ but we’ve enough to buy something very traditional and simple with just a tiny piece of land. Grand Designs will have to wait for when our boat comes home! OK, well as I say if you have questions or want really bossy know-it-all advice from someone who has been expat-ing in the Iberian peninsula for more than ten years you know where to come. The main piece of advice is money. You will never have enough. The shack on the mountainside may not be a bad idea. Think NPV and triple it. Bossy know-it-all advice is MOST welcome. I’ll take you up on your kind offer and email you if something crops up. Thanks again Lottie. 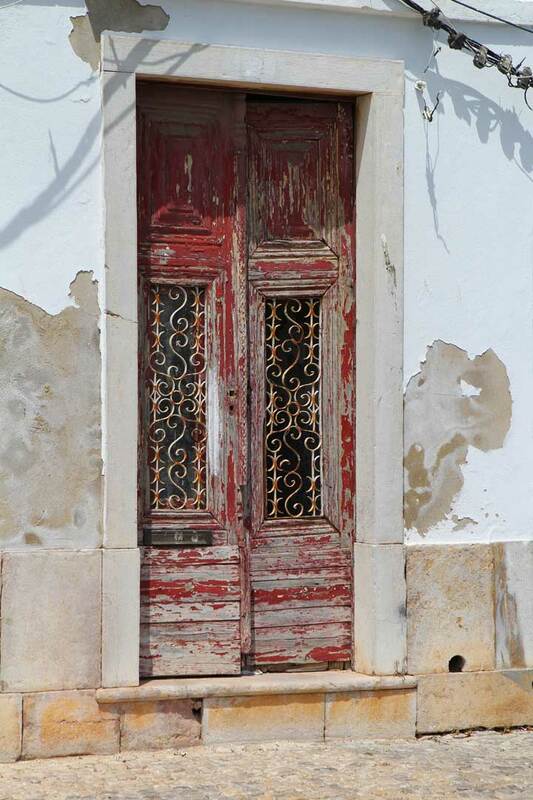 An evocative post and Portugal also attracts us, though as a holiday destination more than living space. 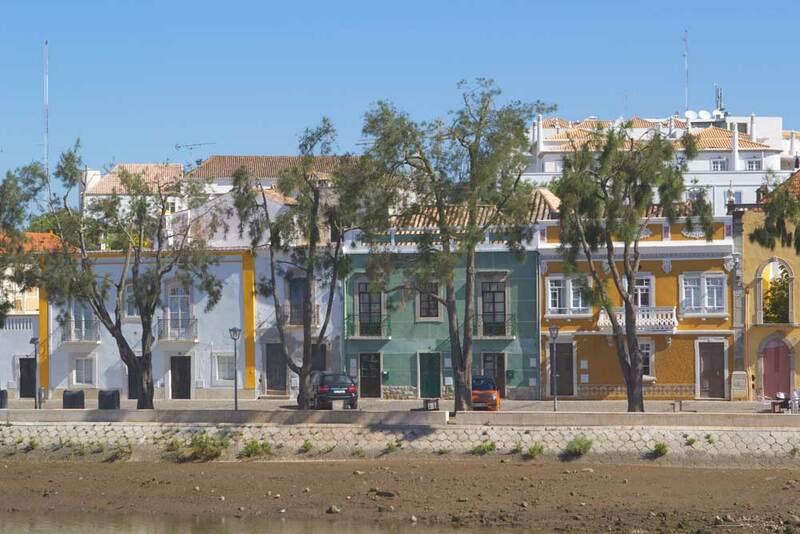 Tavira does look lovely. We are living at the moment on a diet of remembered Provence 🙂 I’ve posted some whimsical work-in-progress thoughts on Marseille on my blog. Welcome back to blog land Lottie, great post. My parents are Portuguese so I’ve spent many a summer there and am looking forward to visiting again this summer. As a child I’d always cry when the plane would touch back down in Heathrow. There is 17% unemployment in Portugal, Spain is worse, but my mum reports that the restaurants and cafes are full every night, so I don’t know. I feel sad writing this, but I’ll never live there because the property is so expensive and even if you visit the market every morning, you still have to watch your Euros. The missus doesn’t want to learn a new language and the opportunities you have in London just aren’t there. Good to have you back. You two are so courageous. I hope you find what you are searching for. 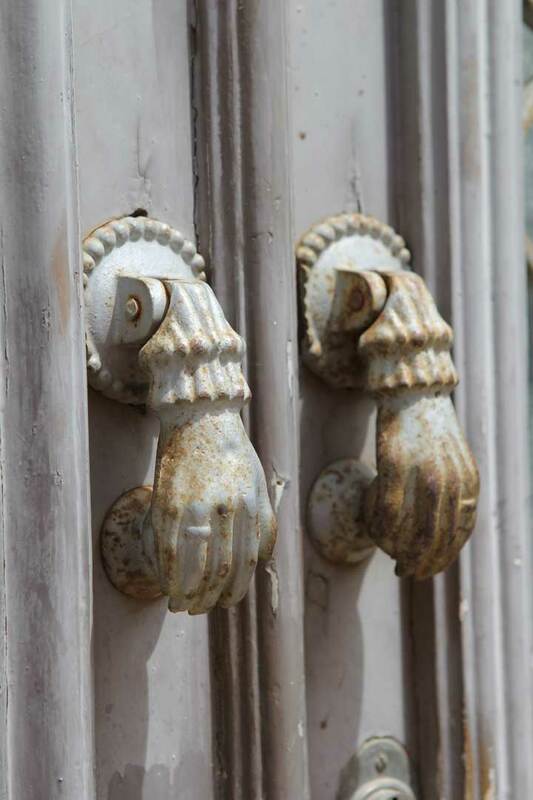 I love pictures of doors and knockers ( hmmm that sounds a bit rude) reminds me of our winter getaway in Mexico. No two doors the same. Love the colours. Spike Milligan my favorite too. Saw him at Puddle Dock (Son of Oblimov). A couple came in five minutes late. He made them put on the house lights. Didn’t want them to miss the beginning, so started again. Second sitting was late that night! I was smitten with the knockers (hehehe!! )….apparently they are a legacy of moorish times. The colours blew me away too, reds, yellows, blues and greens and some of the houses had patterned tiles on the exterior walls – enchanting! Lottie! I had noticed you weren’t blogging (as neither was I). I’m back in the US but still have travelust so I’ll look forward to your posts. Mine will be limited to Florida for the moment. If you wander into Spain at all, I was in the cutest little town last year that offered similar photo opps to those I’m seeing in your pictures: Cadequez. 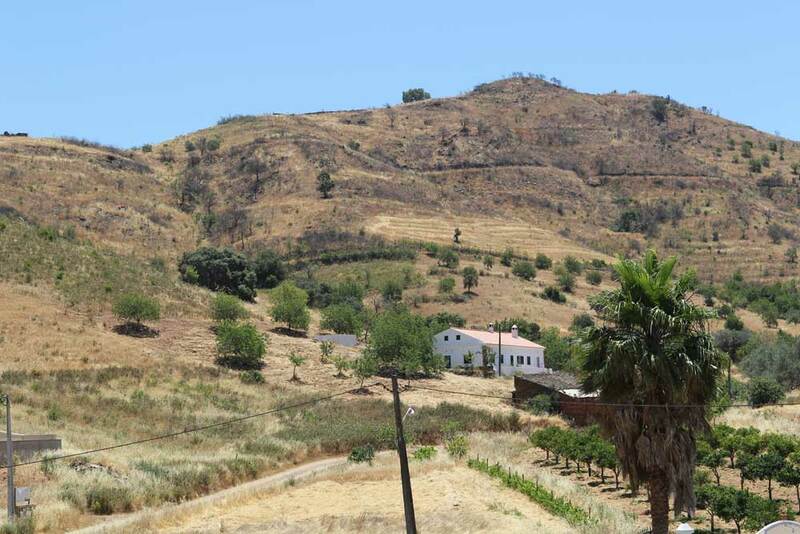 It is the area in which Salvador Dali grew up (I think you’ll see some of his inspiration there in the landscape.) The Cap de Creuz natural park near there had fanTAStic panoramas. The coast wraps in and out with little coves and the restaurant at the top gives you an overview of that. And, speaking of buying property in the mountains, we were in the area because a french friend of ours had purchased… sight unseen but she said she knew the area… a property in the Pyrenees through eBay. It was a dump at the time and came with a built-in neighbor because the property had been owned by 2 brothers (only 1 left) but she and her husband have created the most gorgeous place to call home. With a huge terrace, they now look straight out over a valley at mountains beyond—it’s truly fantastic. Good luck to you two!! Hello Jody, how great to hear from you 🙂 Are you back in the US for long? I know the area of Spain that you are talking about well, as in a previous life I used to have a house close to the Pyrenees (French side). It’s a beautiful part of the world. The Salvador Dali Museum in Figueres is outstanding and definitely worth a visit if you’ve not been. 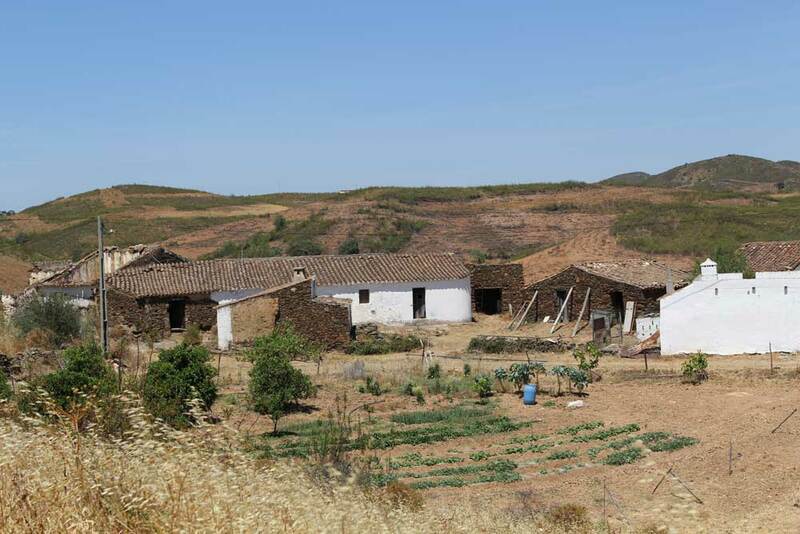 It’s an area of Spain that I like very much, how fantastic that your friends have a house there. What fabulous photos, you really do churn out some wonder images. Thank you AV and I’m glad you liked them. It’s such a pretty place and I took so many pictures that it’s quite hard to select ones to post on here but hopefully they give you an idea of what it’s like. We went across the border to Seville which I’ll be writing about in my next post. ooops….I did use the “P” word. Thanks so much Steve for your lovely and encouraging comment and don’t worry about using the ‘p’ word! I’m hopeless learning languages but I’ve managed to master enough bahasa indonesia to get me by so I’m hoping I can hone the same skills learning portuguese. The problem with portuguese though is it’s very difficult to pronounce, it almost sounds like polish to the untrained ear. I’m jealous about you not drinking, I’ve got the most horrendous hangover today after a night out with Irishman and a friend in Jakarta. I can guarantee that you would not want this headache! Love the photos; sounds like a great plan. I drove up there once when I was living in Spain; I remember a very laidback kinda place. All very exciting and I can’t wait to see where you end up. Portugal is lovely. Was there in ’86, north and south, as Mrs Gaskell once said. Sintra is an extraordinary place. I have an old schoolfriend living in Portugal. I’ll introduce you via Facebook. And gosh, we might be able to meet in the flesh and share Puffin Club anecdotes! That’s a great ‘idea’! yes please Sarah, I’d love to get in touch with anyone who has any local knowledge and can point us in the right direction. It would be great to meet you 🙂 and share our puffin club anecdotes – Kaye would be so happy too!! I’m impressed with the wrought iron of the doors and the iron fencing. And the shots of the doorways are fantastic Nat Geo quality. A wonderfully written narrative of your time away from Jakarta. I anticipate your next post. Ohoh. I feel a little heartbreak at this possibility…for me, not you! It looks charming, but I much preferred the thought of an island in the Indonesian cluster! Good luck, Lottie! I know you’ll find something amazing!